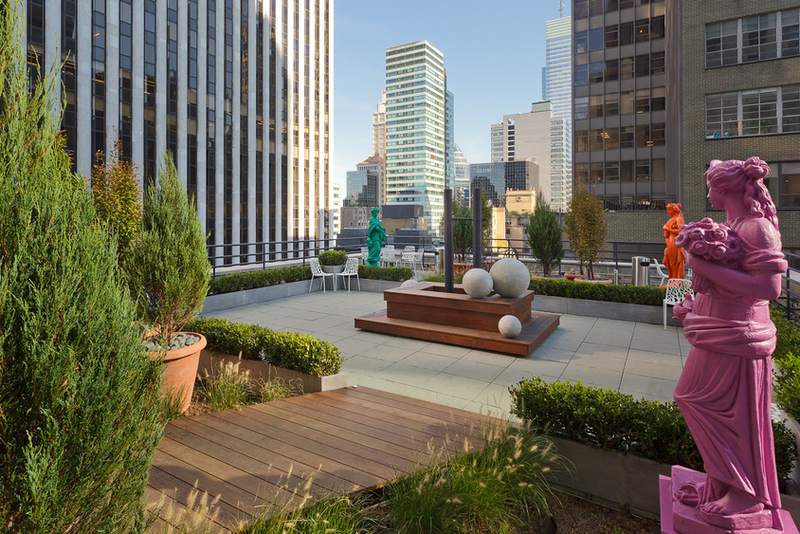 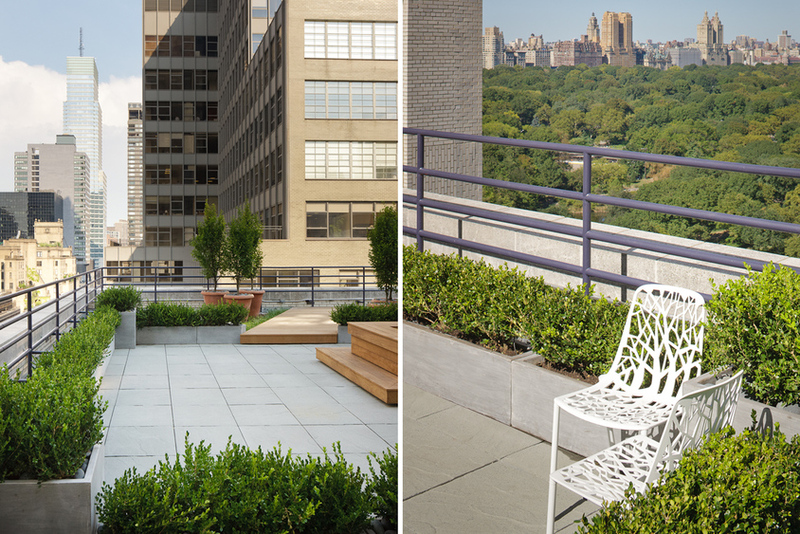 Nievera Williams Design recently completed a green roof garden terrace for the exclusive use of a private corporation. 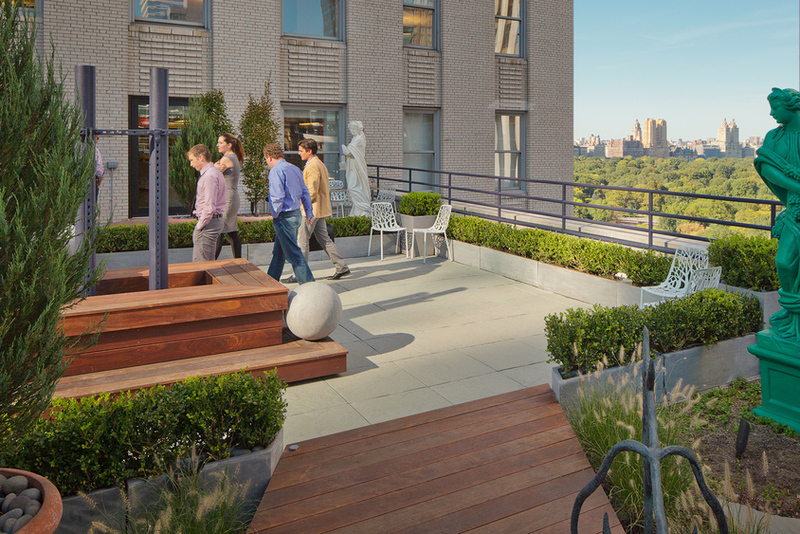 The dramatic location - with Central Park and Midtown Manhattan skyline views - inspired Nievera Williams to create an exciting rooftop oasis. 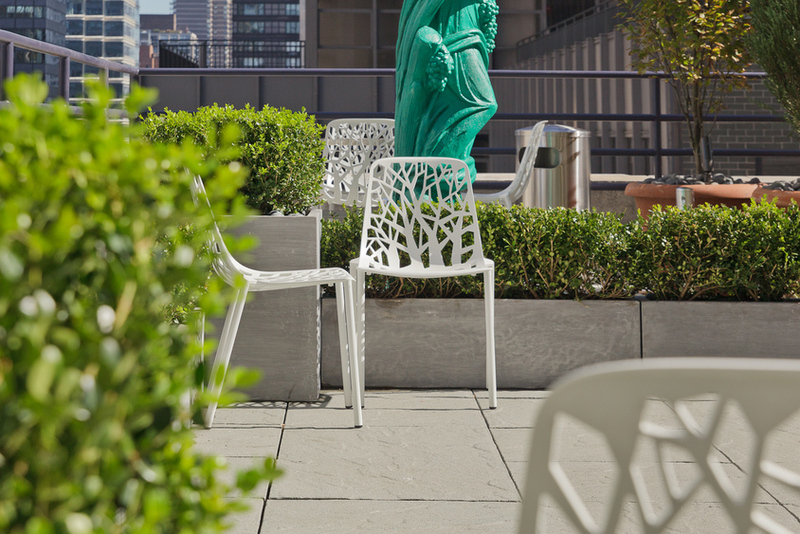 The garden is divided into four spaces for outdoor meetings and conferences. 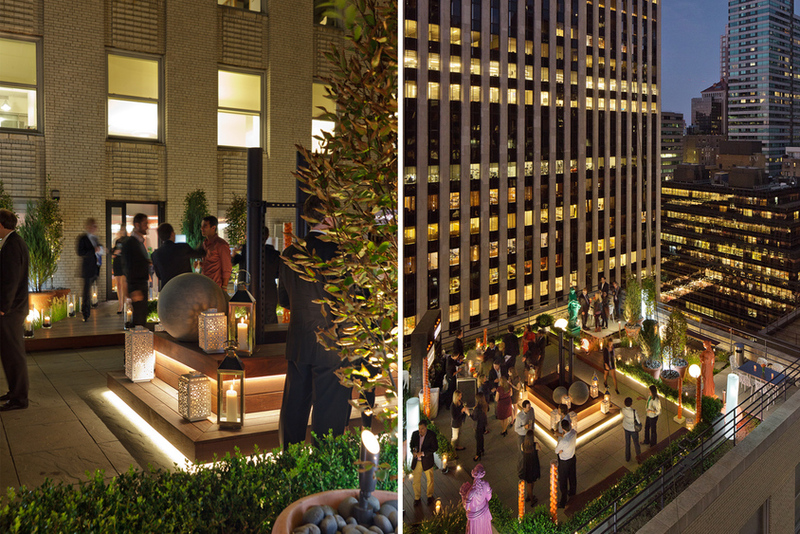 A large, centrally located gathering space allows for larger functions. 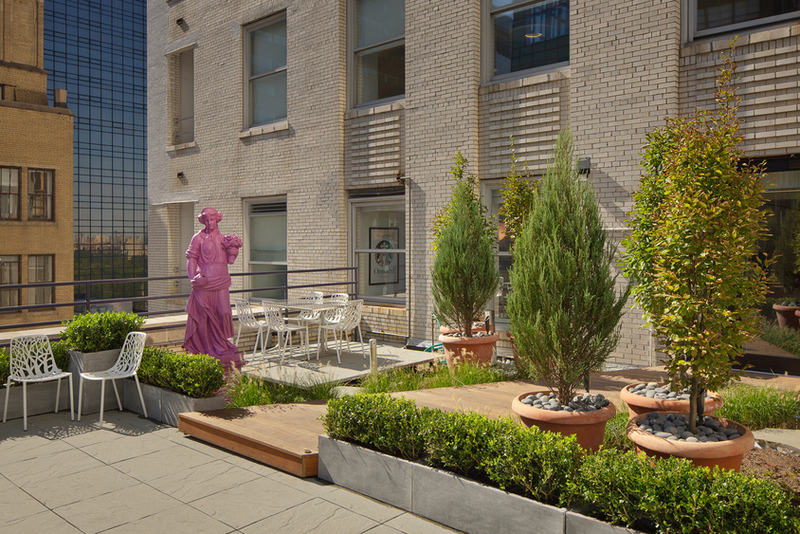 Colorfully executed garden statuary anchor the four “rooms” within the terrace, accessed by raised walkways. 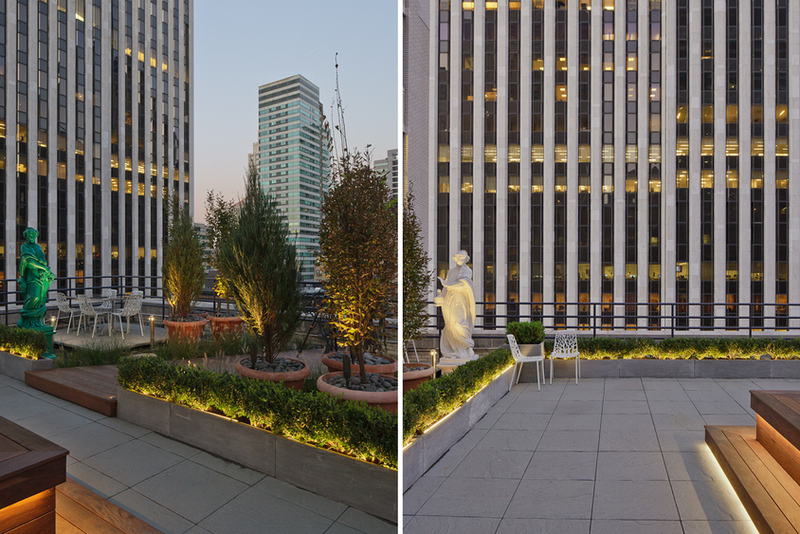 Grasses, sedums, boxwood hedges and terra cotta pots with trees provide year round interest.